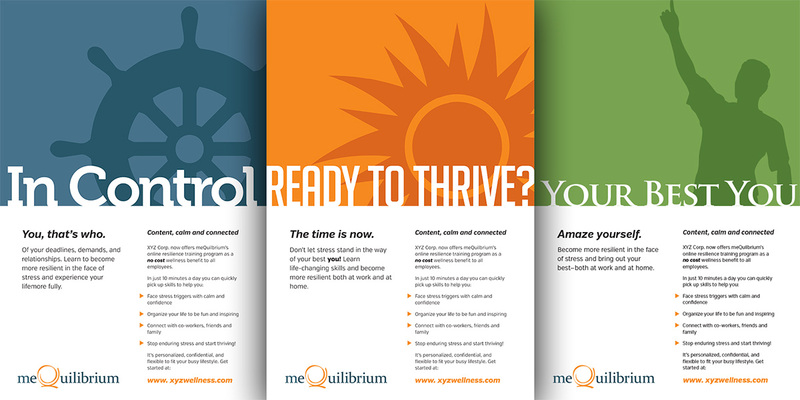 meQuilibrium is an online stress reduction and resiliency program marketed primarily through corporate wellness programs. 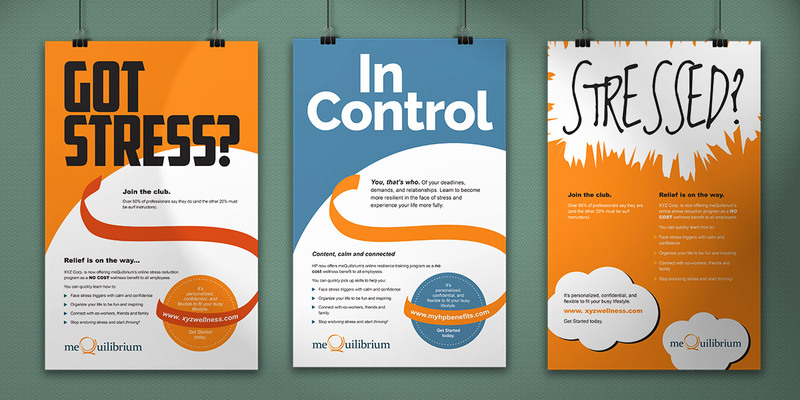 Interested in boosting adoption rates at client locations, meQuilibrium asked us to create a series of posters promoting the incredible benefits of learning how to manage stress— both in the workplace and home. Our services on the project included all copywriting and design.